Missed the Conference? Check out the Proceedings online! Speaker presentations are on our conference website along with the Detailed agenda, Speaker Bios, and Reflections on the day. We heard from you that a list of your peers in Mass ECAN would be a great way to learn who else is out there, explore others' interests and expertise, and facilitate collaboration and connection. The database of your peers is now live, but only open to Mass ECAN members. Sign up to see more! As shared at the Conference, members of the Climate Communications Work Group partnered with the Land Trust Alliance and the Open Space Institute to create a set of climate communication recommendations based on social-science research, a searchable list of example climate communication products developed by Northeastern land trusts, and a gallery of real communication products developed by practitioners that embody best practices, with accompanying interpretive text explaining why. Learn more here. Bio: Rachael brings a strong science-based background to road-stream crossing assessments, dam removal projects, and other nature-based design solutions. 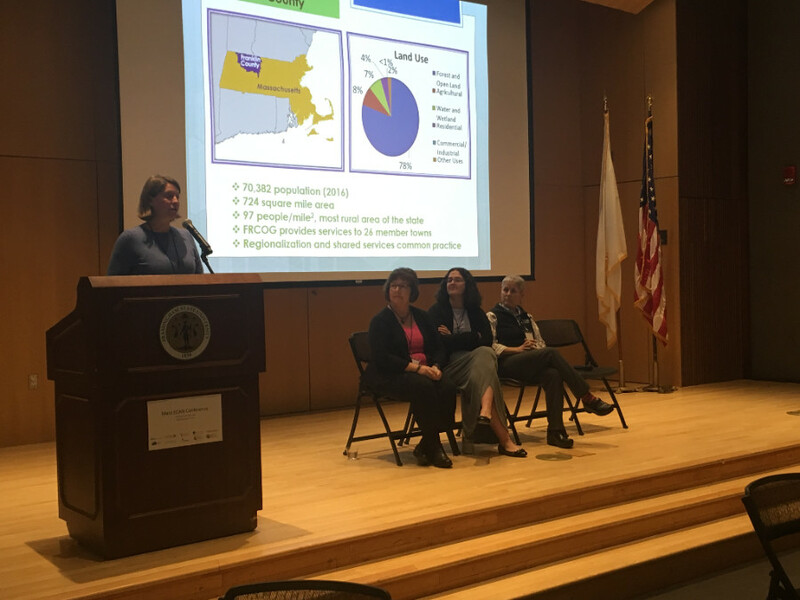 Rachael has participated in a number of watershed-scale efforts to improve flood resiliency and ecological connectivity (including aquatic passage) along streams and rivers in New England. 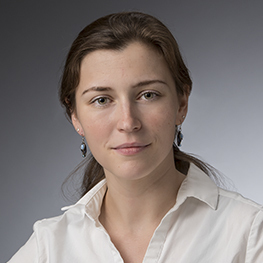 She seeks to help local decision-makers think strategically about ways to use natural systems – floodplains, wetlands, forests, and green infrastructure – to provide effective strategies to reduce flooding, while also benefitting aquatic and terrestrial ecosystems. When not working on flood resiliency or stream restoration projects, she enjoys hiking with her black lab, Saranac. Climate change adaptation project she's currently excited about: Rachael is the technical lead on several road-stream crossing assessment projects, for which she is developing and testing new methods to assess and prioritize road-stream crossing culverts and dams in communities throughout Massachusetts. These include projects in Belchertown, Spencer, and Charlton through the Municipal Vulnerability Preparedness program. Rachael is also using her aquatic organism passage and flood resiliency expertise to develop a Road-Stream Crossing Assessment Manual for Rhode Island. Funding Opportunity - MAPC Accelerating Climate Resiliency Mini-Grants - The Metropolitan Area Planning Council is partnering with the Barr Foundation to accelerate climate resilience in their region by helping municipalities advance strategies that protect people, places, and communities from the impact of climate change, with nature based solutions as one funding priority area. Strongly encouraged to apply by Nov. 30. Learn more. Webinar- Northeast Climate Adaptation Science Center Brown-bag Talks: the next webinar focuses on Wildlife Adaptation Synthesis with presenter Olivia LeDee, Acting Federal USGS Director of NE CASC. December 12, 12pm. Join here. 12:00 - 1:15. Register here. Event - Utility Resilience: Lessons from Puerto Rico and Local Preparation is being hosted at the UMass Club in Boston on Nov. 30 from 7:15-11:45 am. This latest Forum will focus on adapting utilities to be resilient to climate impacts, from extreme storm events to heatwaves, which pose significant challenges and opportunities for providers and communities. Publication - 4th National Climate Assessment released. See here. Publication - State Plan Reminder: you can read the State Hazard Mitigation and Climate Adaptation Plan (or at least the Executive Summary!) here. It is the first of its kind to fully integrate hazard mitigation planning with climate change impacts and adaptation strategies. Congrats to all who contributed! Welcome to a new community of practice for climate adaptation practitioners and researchers who are interested in ecosystem resilience and natural resources conservation in Massachusetts. We just turned one year old!